The Mangattan Liner first appeared on March 22, 2003, running between Sendai Station and Ishinomaki Station on the JR Senseki Line. It was a joint venture between JR and Ishinomaki City to further promote Ishinomaki City’s intention to revitalize the city through manga. In 2011, the Great East Japan Earthquake and tsunami destroyed the train tracks, making it impossible for the train to operate to Ishinomaki. On May 30, 2015 all tracks were restored and the trains resumed operation as normal. 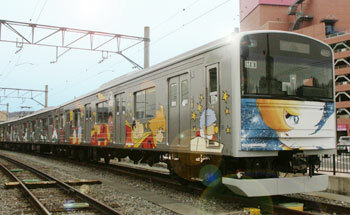 Now, the Mangattan Liner running every Sunday is a concrete representation of Ishinomaki, the City of Manga. Timetable of Senseki Line Mangattan Liner running every Sunday. The first generation Mangattan Liner appeared on March 22, 2003, running on the JR Senseki Line from Sendai Station to Ishinomaki Station. 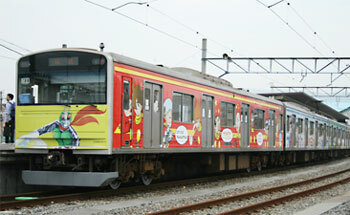 <>The second generation Mangattan Liner running from September 13, 2008 is the first train to be completely painted with decorative designs. 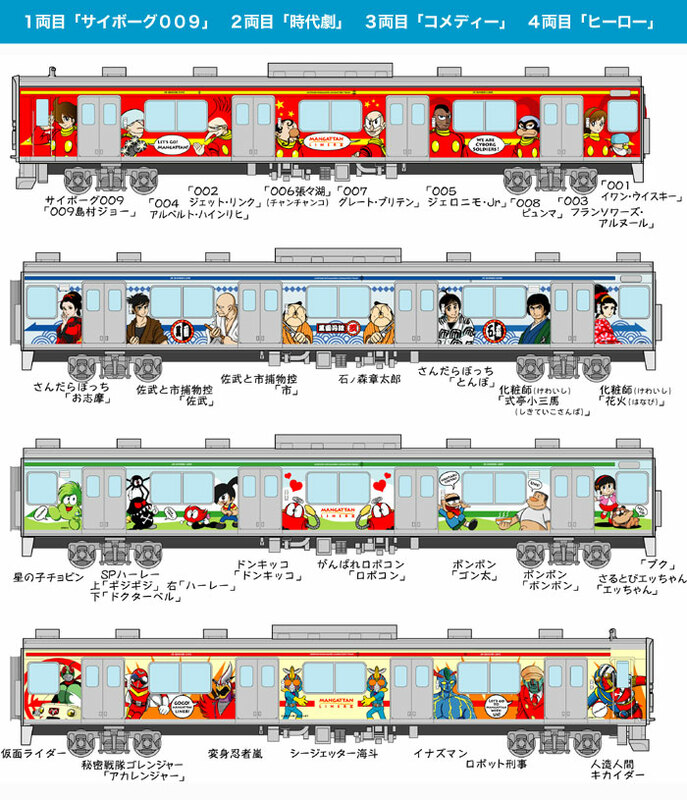 Every Sunday, visitors riding the Mangattan Liner will receive a Boarding Certificate issued by Ishinomori Manga Museum at Ishinomaki Station platform. 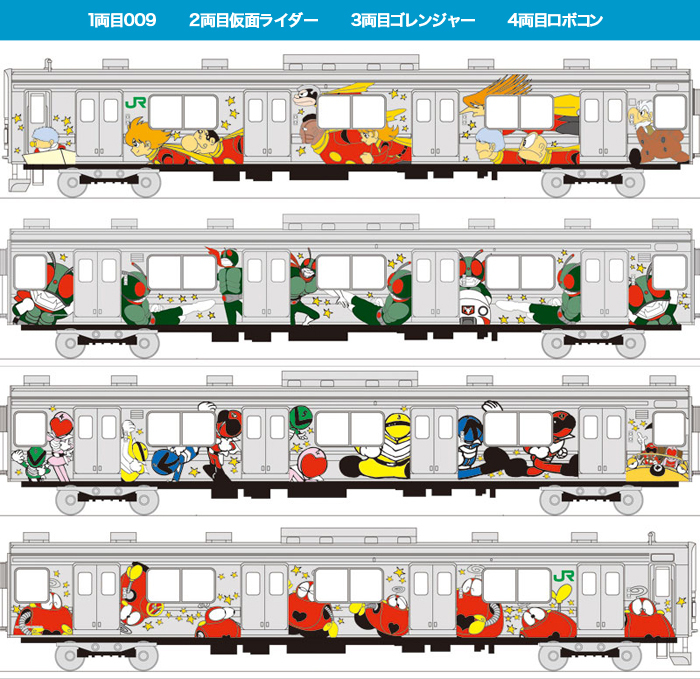 The Certificate is also a booklet including information about the trains and the Manga-themed Ishinomaki Station. You can also get your certificates stamped to record the date of your visit. 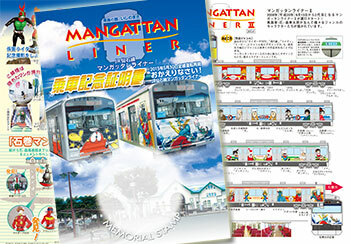 When visiting Manga Museum on a Sunday, make sure to ride the Mangattan Liner to earn your Boarding Certificate!